Hikers, campers and RV owners have long relied on archaic, polluting kerosene lamps. 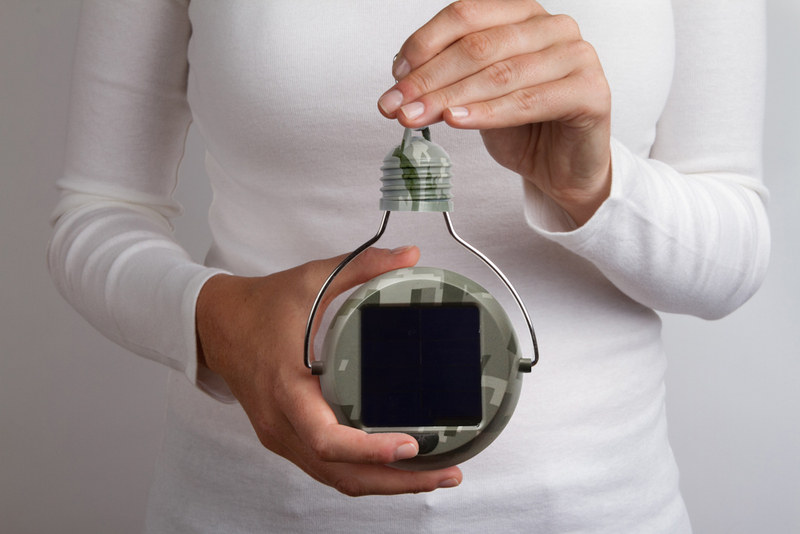 Now adventure seekers are turning to solar lamps originally created for the developing world in an illuminating example of reverse innovation. The dizzying pace of innovation has put cameras in our phones, computers in our cars, and wind farms on the grid to power our cities. Until recently, however, outdoor enthusiasts have relied on fuel burning lamps to light their campsite. Remarkably, a replacement for these polluting lamps came from creating a lighting solution for the unpaved streets and small huts of the developing world. Nokero, a Colorado company, embarked on a mission to rid the world of the dangerous, polluting kerosene lamps used in the developing world, as their name "No Kero" implies. They created a revolutionary all-in-one solar light bulb and have sold over 500,000 of the small, inexpensive lights in more than 120 countries around the world. "I remember sitting on a small farm outside Lahore, Pakistan, watching as a boy played with a light bulb for the first time," said inventor and co-founder Steve Katsaros. "That inspiring scene has replayed over and over around the world thanks to our solar light bulb." An avid outdoorsman and former competitive skier, Steve couldn't help but notice back home in Colorado that lighting options for campers and hikers were similarly outdated. 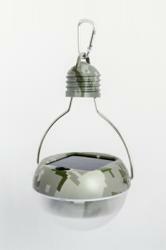 As a result, Nokero decided to create a rugged outdoor version of their brightest solar light, the Shavano. The Nokero Shavano Pro is a svelte product and looks like something Apple and Coleman might team up to design. The distinctive shape looks like an oversized lightbulb, with an integrated solar panel that charges two AA batteries by direct sunlight. Thanks to an auto on/off switch, when the sun goes down a bright white light illuminates the area. Likewise, when the sun comes back up, the Shavano Pro shuts off to save batteries. The light can also be shut completely off for transportation and storage. "There has been a real buzz around our products among outdoor enthusiasts and survivalists," said co-founder Evan Husney. "Batteries are not only expensive but also inconvenient when space is at a premium. Our built in solar panels enable the Shavano Pro to turn on night after night, with standard rechargeable batteries that only need replacing every couple years." 1. Affordable Products: Goods priced for western markets are too expensive, which pushes companies to find inexpensive materials or manufacturing options. 2. ‘Leapfrog’ Technologies: Lacking infrastructure, poorer countries have skipped 20th century technology in favor of mobile phones or solar energy. 3. Service ‘Ecosystems:' Entrepreneurs in developing countries create new partnerships like video-game cafés where gamers test offerings such as online identity verification. 4. Robust Systems: Emerging markets often present rugged conditions like extreme temperatures and humid, salty air. Gadgets that work there will work here. 5. New Applications: Customers with limited financial resources will find creative uses and new applications for existing products. While the problem of kerosene usage in the United States is not as conspicuous as in much of the world, the solution is the same. The same reliable and relatively inexpensive solar lights that are illuminating huts in Africa are now lighting up campsites and RV parks in the United States. The Shavano Pro (N220C) Solar Light Bulb is a rugged outdoor version of Nokero's very bright, all-in-one solar LED light.